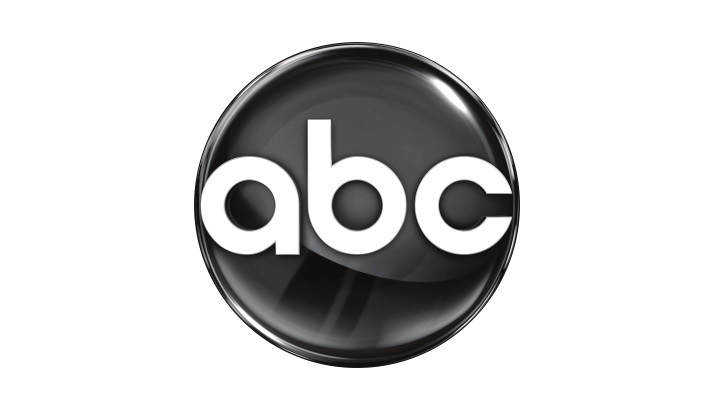 The ABC Television Network will premiere the new dramas "Whiskey Cavalier" on WEDNESDAY, FEB. 27 (10:00-11:00 p.m. EST); "The Fix" on MONDAY, MARCH 18 (10:00-11:00 p.m. EDT); and "Grand Hotel" on MONDAY, JUNE 17 (10:00-11:00 p.m. EDT). Returning drama "For The People" will debut Season 2 on THURSDAY, MARCH 7 (10:00-11:00 p.m. EST). Following its highly anticipated winter finale airing tonight (10:00-11:00 p.m. EST), "A Million Little Things" returns on a new night, THURSDAY, JAN. 17 (9:01-10:00 p.m. EST). In alternative and reality programming, "America's Funniest Home Videos" expands to two hours starting SUNDAY, JAN. 6, followed by a two-hour block of "Shark Tank." "AFV" starts the evening with a fan-favorite, previously aired installment (7:00-8:00 p.m. EST), followed by a new episode (8:00-9:00 p.m. EST). The family fun continues with "Shark Tank," featuring one original episode (9:00-10:00 p.m. EST) and one previously aired edition (10:00-11:00 p.m. EST). ABC will launch its second season of the iconic "American Idol" on SUNDAY, MARCH 3 (8:00-10:01 p.m. EST). When "American Idol" premieres, "AFV" original episodes will return to 7:00-8:00 p.m. EST, and new editions of "Shark Tank" will air 10:01-11:00 p.m. EST. A new season of "Match Game" premieres WEDNESDAY, JAN. 9 (10:00-11:00 p.m. EST). As previously announced, the spinoff comedy "Schooled" also debuts on Jan. 9 (8:30-9:00 p.m. EST), immediately following "The Goldbergs" (8:00-8:30 p.m. EST); and "American Housewife" returns on its new night, TUESDAY, FEB. 5 (8:00-8:30 p.m. EST). Eight weeks of two-hour "20/20" programming kicks off on FRIDAY, JAN. 4 (9:00-11:00 p.m. EST), and features brand-new interviews with key players in the biggest newsmaker stories in recent American history. Each documentary takes a look at these cases through a modern lens, challenges original perceptions, and sheds new light on each story. 8:00-8:30 p.m. "Fresh Off the Boat"
8:30-9:00 p.m. "The Kids Are Alright"
9:30-10:00 p.m. "Splitting Up Together"
10:00-11:00 p.m. "How to Get Away with Murder"
Starring Robin Tunney, Adewale Akinnouye-Agbaje and Scott Cohen, "The Fix" follows Maya Travis, an L.A. district attorney who suffers a devastating defeat after prosecuting an A-list movie star for double murder. With her high-profile career derailed, she flees for a quieter life in rural Washington. Eight years later, when this same star is under suspicion for another murder, Maya is lured back to the DA's office for another chance at justice. "The Fix" is executive produced/co-written by Elizabeth Craft & Sarah Fain and Marcia Clark. Michael Katleman is an executive producer along with Laurie Zaks, David Hoberman and Todd Lieberman from Mandeville TV. Produced by ABC Studios. Eva Longoria executive produces this bold, provocative drama set at the last family-owned hotel in multicultural Miami Beach. Charismatic Santiago Mendoza (Demián Bichir) owns the hotel, while his glamorous second wife, Gigi (Roselyn Sánchez), and their adult children enjoy the spoils of success. The hotel's loyal staff round out a contemporary, fresh take on an upstairs/downstairs story. Wealthy and beautiful guests bask in luxury, but scandals, escalating debt and explosive secrets hide beneath the picture-perfect exterior. Produced by ABC Studios, the show is based on the Spanish series. Brian Tanen is the writer and executive producer. Longoria and Ben Spector (UnbeliEVAble) are executive producers, in addition to Bob Daily. Bill D'Elia is a director and an executive producer. Set in 1990-something, "Schooled" is a spinoff of "The Goldbergs" and follows the hilarious faculty of William Penn Academy, led by new music teacher and WP graduate Lainey Lewis (AJ Michalka), Principal Glascott (Tim Meadows), Coach Mellor (Bryan Callen) and young, enthusiastic super-teacher Charlie Brown or CB for short (Brett Dier). Despite their eccentricities and crazy personal lives, these teachers are heroes to their students. Created by Adam F. Goldberg & Marc Firek, the series is from Sony Pictures Television and ABC Studios. Adam F. Goldberg, Doug Robinson and Marc Firek are executive producers. Following an emotional breakup, Will Chase (codename: "Whiskey Cavalier"), played by Scott Foley, is assigned to work with badass CIA operative Francesca "Frankie" Trowbridge (codename: "Fiery Tribune"), played by Lauren Cohan. Together, they lead an inter-agency team of flawed, funny and heroic spies who periodically save the world - and each other - while navigating the rocky roads of friendship, romance and office politics. The series is from writer/executive producer Dave Hemingson and executive producers Bill Lawrence and Jeff Ingold. Peter Atencio is director and executive producer (pilot), and Scott Foley is producer of the series from Warner Bros. Television. "The Good Doctor" airs Mondays at 10:00 p.m. ET on The ABC Television Network.